This is one of the smartest module ever. You can easily load Joomla module onto your web pages using this module. It is the best fit for any websites and can be customized with fewer steps. Select Module : Select the module from the drop-down that you want to load. Alignment : Set the position of the module. 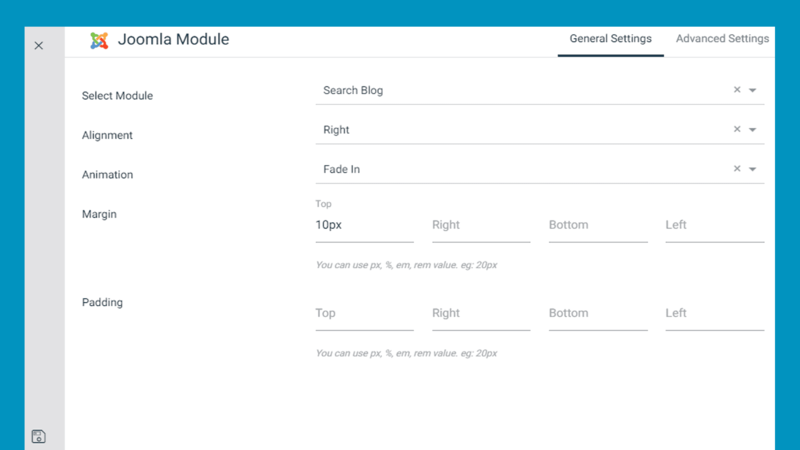 Animation : Select an animation for the module, how you want the module to appear on the page.